Posted byWholeDude	 November 13, 2016 November 14, 2016 Leave a comment on WHAT IS MAN? 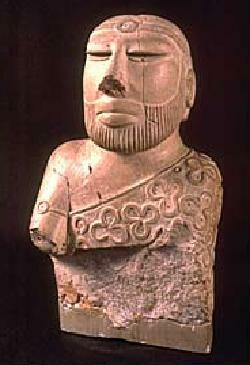 WHO IS HARAPPAN MAN? I am pleased to share an article published by Srinivasan Kalyanraman that deals with the problem of deciphering Indus Valley Harappa – Mohenjo Daro Script. Human Language is the peculiar possession of Anatomically Modern Man described as Homo sapiens sapiens. Who is Harappan Man? What is his Anatomical Identity??? 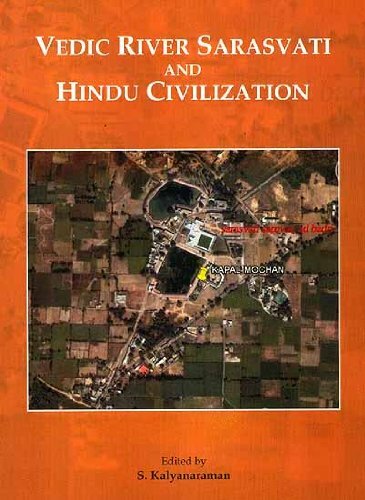 This book is a compilation of papers presented at a Conference on “Vedic River Sarasvati and Hindu Civilization” held at India International Centre, New Delhi from Oct. 24 to 26, 2008. Participants included scholars from many disciplines including ancient Indian history, archaeology, space imaging, hydrology, meteorology, glaciology, seismology, ice-age geodynamics, sea-level changes, metallurgy and other earth- and life-sciences. The Conference explores the validation of a consensus that the ancient civilization that emerged and prospered on the banks of Vedic River Sarasvati is the precursor to the civilization that is known and exists today as Hindu civilization, establishing a continuum of human society and achievement. As a result of archaeological explorations since 1947, it became clear that over 80% of about 2600 archaeological sites were not on the banks of river Sindhu but on the banks of Vedic River Sarasvati mentioned in Rigveda in 72 rica-s. Underscoring the indigenous evolution of Hindu civilization on this river basin, theories propounded earlier about Aryan invasions/migrations stand negated. Projects are ongoing to revive the river which provides an impetus for establishing a National Water Grid. This left the unresolved issues of the identity of the Sarasvati people, the language of the civilization, the purport and content of the messages left behind by the people on Harappa (Indus) Script inscriptions. A resolution of these issues is a critical area of research in Proto-Historic studies of the civilization. Hence, the effort which had commenced in 1978 continued and was brought to fruition by the publication of 16 books until 2016, conclusively establishing the nature, functions and purport of the writing system, decipherment of over 7000 inscriptions mostly on seals and tablets (including 218 copper tablets) and data mining evidencing the contributions made by Bharatam Janam to metallurgical advances of the Tin-Bronze Revolution along the Maritime Tin Route from Hanoi to Haifa, a route which preceded the Silk Road by 2 millennia. From about 2000 inscriptions recorded in Mahadevan concordance (Mahadevan, Iravatham, 1977, The Indus Script: Texts, concordance and tables, Delhi, Archaeological Survey of India), the corpora have grown to over 7000 inscriptions thanks to the further excavations at Harappa (by Harvard project group called HARP begun in 1986), and reports of explorations/excavations in Kalibangan, Dholavira,Banawali, Bhirrana, Farmana, Binjor, Gola Dhoro (Bagasra), Khirsara, Rakhigarhi, Balakot, Ropar, Ganweriwala. Persian Gulf sites such as Failaka, Bahrain, Salut, have yielded so-called Dilmun seals with Harappa (Indus) Script hieroglyphs. 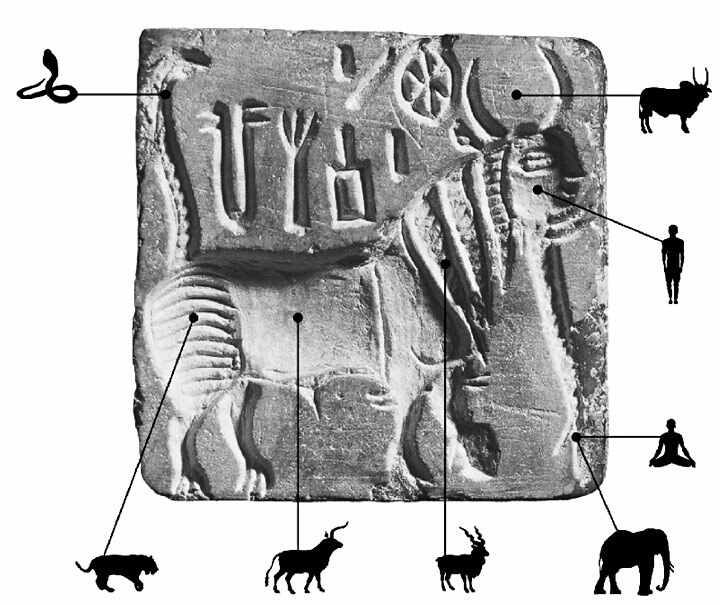 Many cylinder seals and artifacts from Susa, Mari and other sites of Ancient Near East also have yielded Harappa (Indus) Script hieroglyphs as signifiers of metalwork transactions. Three pure tin ingots were found in a shipwreck in Haifa. The ingots had Harappa (Indus) Script signifiers. ranku ‘antelope’ ranku ‘liquid measure’ rebus: ranku ‘tin’ dATu ‘cross’ rebus: dhAtu ‘mineral ore’ mũh ‘face’ Rebus: mũhe ‘ingot’. muhã ‘qua ntity of metal produced at one time in a native smelting furnace.’ This lexeme also explains why the expression mleccha-mukha means ‘copper’ (Samskrtam) corcordant with milakkhu ‘copper’ (Pali). Thus, the corpora have now grown to include over 7000 inscriptions, an adequate database to validate any cryptographic investigation. Linguistic studies have also advanced beyond identification of Indo-Aryan, Dravidian and Munda (Austro-Asiatic) families in Bharat into the formulation of a Bharata (Indian) sprachbund, which is a linguistic area where language families interacted and absorbed language features from one another. FBJ Kuiper prepared a lexis of Munda words in Vedic and Samskrtam. Emeneau, Colin Masica and Kuiper postulated the Indian sprachbund recognizing the existence of vocables which cannot be explained as mere borrowings but possibly as substratum words of the civilization area. The compilation of Indian Lexicon (comparative dictionary of 25+ ancient languages including the three language families of Vedic, Indo-Aryan, Munda and Dravidian) provided over 8000 semantic clusters evidencing the Indian sprachbund. The idea of a Linguistic Area is linked with the term sprachbund which was introduced in April 1928 in the 1st Intl. Congress of Linguists by Nikolai Trubetzkoy. He made a distinction between Sprachfamilien and Sprachbunde: the distinction in classifying languages was suggested by Trubetzkoy in order to avoid ‘missverstandnisse und fehler’ (trans. misunderstandings and errors). The metaphor of a ‘family’ gets expanded to an area of intense cultural contacts among people resulting in the formation of a sprachbund. “First, the languages of a Sprachbund show certain similarities in the field of phonetics, morphology, syntax and lexis. Secondly, the languages of a Sprachbund belong to different families. They are neighbouring geographically, as Trubetzkoy has show, using the example of the Balkansprachbund…In contrast to the genetically defined family of languages (genus proximum), the Sprachbund comprises a typologically defined group of geographically neighbouring language whose common features are derived from mutual influences (differentia specifica).” (Schaller, Helmut W, Roman Jakobson’s conception of ‘sprachbund’ in: Cahiers de l’ILSL, No. 9, 1997, p.200, 202). R. Jakobson published in 1931 three articles about the question of Sprachbund. He also noted that the phonological system of Serbo-Croatian is a remnant of proto-slavic languag features. In Ancient India, Dravidian, Munda and Indo-Aryan languages shared a number of features that were not inherited from a common source, but were areal features, the result of diffusion during sustained contact. (Emeneau, Murray (1956), “India as a Linguistic Area”, Language, 32 (1): 3–16). The delineation of Indian sprachbund of the Bronze Age is based on the metallurgical vocables and expressions so diffused during sustained contacts along the Maritime Tin Route. The database lexis of metalwork words and expressions provided by the Indian Lexicon could be matched with Harappa (Indus) Script hieroglyphs and read rebus, following the method used to read Egyptian hieroglyphs. Possehl, Gregory L., 1996. Indus Age: the writing system. Philadelphia: University of Pennsylvania Press; New Delhi: Oxford IBH Publishing Co. Pvt. Ltd. 29 cm, xiv, 244 pp., 16 pl. Hb ISBN 0-8122-3345-X & 81-204-1083-1. Possehl, Gregory L., 1999. Indus age: the beginnings. Philadelphia: University of Pennsylvania Press; New Delhi: Oxford & IBH Publishing Co. Pvt. Ltd. 29 cm, xxxvi, 1063 pp., 580 b/w ill. Hb ISBN 0-8122-3417-0. Reviewed: Asko Parpola, The Times Higher Education Supplement, 3 Dec 1999. Possehl, Gregory L., 2002. The Indus civilization: a contemporary perspective. Walnut Creek, CA: AltaMira Press. 29 cm, xi, 276 pp., ill., maps. Pb ISBN 0-7591-0172-8. Hb ISBN 0-7591-0171-X. Gregory Possehl’s is the only work which includes a Gazetteer of Sites of the civilization. This Gazetteer is a revelation: about 2000 sites (out of 2600) are NOT sited in Indus river valley but in Sarasvati River Basin. Seal impression. Ur. C.J. 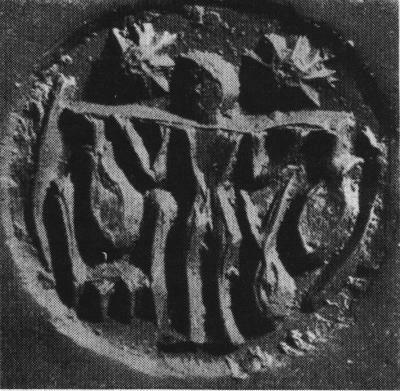 Gadd, Seals of ancient Indian style found at Ur, Proceedings of the British Academy, XVIII, 1932, pp. 11-12, Plate II, No. 12; Description: water carrier with a skin (or pot?) hung on each end of the yoke across his shoulders and another one below the crook of his left arm; the vessel on the right end of his yoke is over a receptacle for the water; a star on either side of the head (denoting supernatural?). The whole object is enclosed by ‘parenthesis’ marks. The parenthesis is perhaps a way of splitting of the ellipse (Hunter, G.R., JRAS, 1932, 476). An unmistakable example of an ‘hieroglyphic’ seal. John Marshall also commented on the writing system in his first report. “The Indus inscriptions resemble the Egyptian hieroglyphs far more than they do the Sumerian linear and cuneiform system. And secondly, the presence of detached accents in the Indus scriptis a feature which distinguishes it from any of these systems.” (Mohenjo-daro and the Indus Civilization, Being an official account of archaeological excavations at Mohenjo-daro carried out by the Government of India between the years 1922 and 1927, in 3 volumes, London, Arthur Probstain, 1931, Vol.1, p.424). The major reason for the failed decipherments of the past is that the insights of Cyril Gadd and John Marshall were not pursued; the insight was hieroglyphic nature of the Harappa (Indus) Script. By ignoring the insight, 150+ decipherments (Kalyanaraman, S., 1988, Indus Script, a bibliography, Manila, Philippines) attempted to assign ‘syllabic’ values to the ‘signs’ of the script and almost always ignored the imperative of deciphering the pictorial motifs or field symbols which occupied space on majority of seals and tablets and which constituted hieroglyphic components of the writing system. Some decipherers just wished away the pictorials as ‘totem symbols’ and started with the assumption that the ‘signs’ constituted texts which could represent ‘names or titles’. It is well-known that the seals and tablets were used in trade transactions. It is also well-known that many seals and tablets could be traced in Ancient Near East (opcit., Gadd, C., Seals of ancient Indian style found at Ur, in: Proceedings of the British Academy, XVIII, 1932). This meant that the messages of Harappa (Indus) Script had to be explained in the context of trade with neighbouring civilizations. If the messages related to trad, did the seals/tablets record trade transactions? This question was NOT posed and answered in the past decipherments. The decipherments also failed to note an important feature: that many inscriptions were recorded on metal — on copper plates and on weapons/implements themselves. BM Pande, Inscribed copper tablets from Mohenjo-daro: a preliminary analysis, in: DP Agrawal & A Ghosh eds., Radiocarbon and Indian Archaeology, Tata Institute of Fundamental Research, Bombay, 1973, pp. 305-322). Broken axe, Chanhu-daro (C-40) inscribed on both sides. Chisel. Kalibangan (K-121). Wt. 210 g.
Axe. Kaibangan (K-122). Wt. 476 g.
Parallels axe Mohenjo-daro (DK-7835). Wt. 1910.030 g.
Axe. DK-7855. Wt. 262 g.
(Note: Of the five metal objects from Mohenjo-daro, four were found ‘at the low level 24.4 ft.[ and one (copper knife) was found 18.4 ft. below datum. (Mackay 1938: 454; Vol. II. Pl. CXXVI #2.3 and 5, Pl. CXXVII #1, Pl. CXXXI; Vol. II. Pl. CXXXIII#1).Mackay 1938: Vol. 1, p. 348, Vol. 2, Pl. XC,1; XCVI, 520. 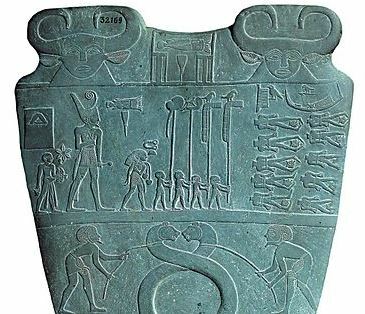 This typological analysis of inscriptions on copper plates and on metal implements should have been pursued by decipherers to unravel the messages conveyed. These are explanations for the failure of the decipherment efforts of the past. The failure to decipher the copper plate inscriptions ia a major failure given the fact that many early epigraphs of the historical periods of Bharat were on copper plates. The possibility of this tradition of copper plate inscriptions is also evidenced on a Pre-Mauryan copper plate called Sohgaura plate read in Brahmi by John Fleet in 1894. (Fleet, JRAS, 63, 1894 proceedings, 86, plate, IA 25. 262; cf. Sohgaura copper plate/B.M. Barua. The Indian Historical Quarterly, ed. Narendra Nath Law. Reprint. 41). These leads of Sohgaura copper plate with a top line using Harappa (Indus) Script hieroglyphs and tens of thousands of early coins of Bharat using such hieroglyphs should have been pursued and evaluated in the decipherments The failure to do so explains the failure of the decipherments. Many pictorial motifs are not merely pictographs but also narratives. For e.g., tablet M478 narrates 1. jungle clearing which should have led to the recognition of a rebus reading of erga ‘ jungle clearing’ with rebus: erako ‘molten cast copper’; 2. a person on a tree branch (spy): heraka ‘spy’ rebus: eraka ‘copper’; 3. tiger looks back; Hieroglyph: Looking back: krammara ‘look back’ (Telugu) kamar ‘smith, artisan’ (Santali); 4. Hieroglyph: tree: kuṭhi ‘tree’ rebus: kuṭhi ‘furnace’ (Santal i). m0478B tablet erga = act of clearing jungle (Kui) [Note image showing two men carrying uprooted trees]. All the 500+ ‘signs’ of Harappa (Indus) Script are also hieroglyphs. Dennys Frenez and Massimo Vidale have demonstrated the orthography of the script as composed of hyper texts by combing hieroglyph elements. This demonstrates that each hieroglyph-multiplex is a composition of orthography signifying various creatures and phenomena as components of the hypertext. Reading each component and rebus rendering in Indian sprachbund lexis of metalwork words, results in the decipherment of all 7000+ inscriptions as metalwork catalogues. The resultant decipherment of metalwork catalogues provides a database of the contributions made by Bharatam Janam, the artisans and artificers in particular to the Tin-Bronze Revolution of the Bronze Age. viśvāmitrasya rakṣati brahmedam bhāratam janam Trans. This mantra of Visvamitra protects the Bharata people. (RV 3.53.1). The language of Indian sprachbund which provided the metalwork lexis is called Meluhha (cognate Mleccha). The lexis is traceable as spoken forms of words recorded in Indian Lexicon. This is a treatise, a formal and systematic written discourse on knowledge discovery of a civilization in two domains of knowledge 1. Archaeo-metallurgical advances during Bronze Age Revolution; and 2. Invention of a writing system to document, in Meluhha (Harappa) language, technical details of these advances anchored on the imperative of supporting long-distance trade transactions by seafaring artisans and merchants. The objective of the treatise is to unravel the semantics of Dharma samjnA or Bharatiya hieroglyphs using a method of data mining. 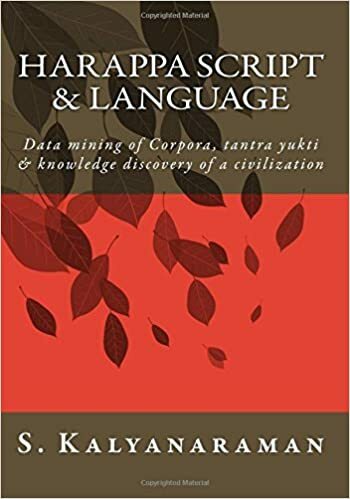 The method of data mining of Harappa Script Corpora of over 7000 inscriptions is based on the principles of tantra yukti.